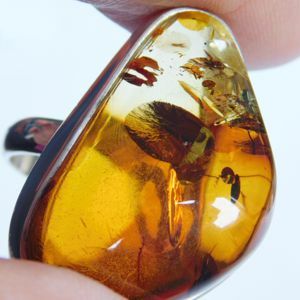 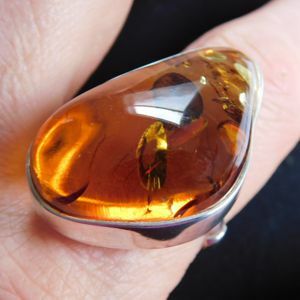 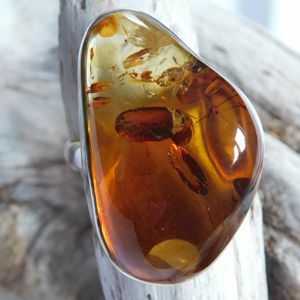 This ring is designed around a stunning Baltic Amber gemstone. 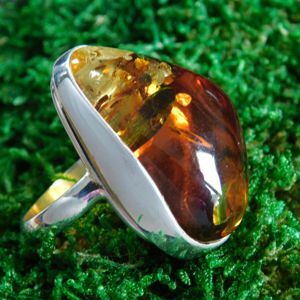 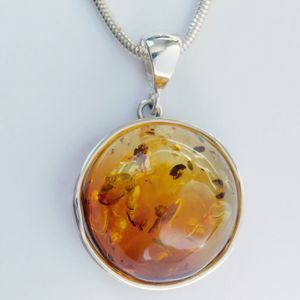 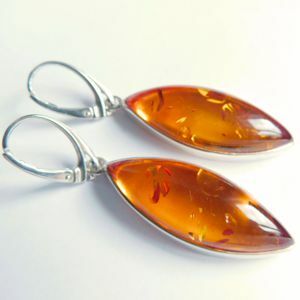 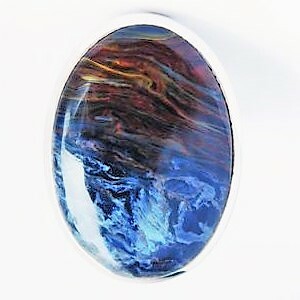 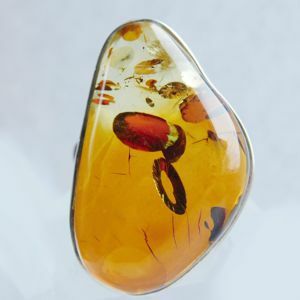 The colour is golden yellow and the free-shaped gem measures 32 x 20 mm. 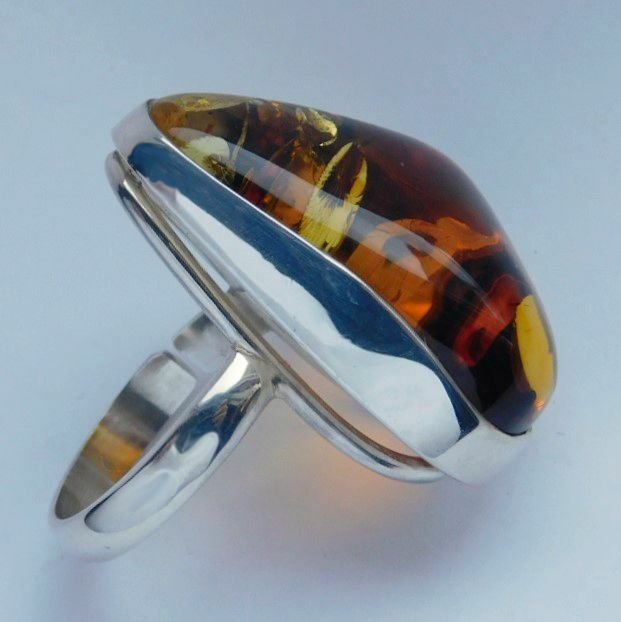 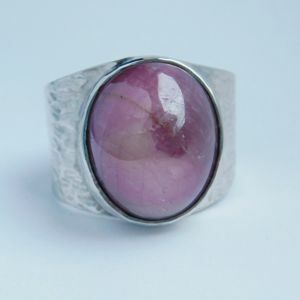 The gem is is set in Sterling Silver bezel and with every movement the sparkles look fascinating in the sunlight. 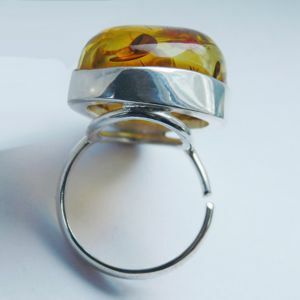 The ring shank is open, so you can adjust the ring size yourself.